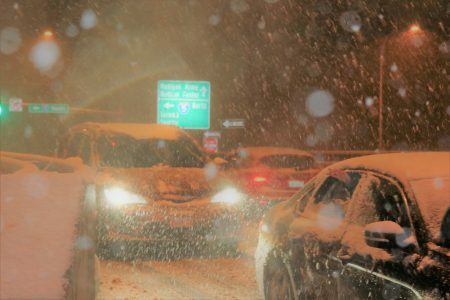 A snowstorm is causing significant issues for traveling and daily activity across the Lakewood, Washington area. This is the second snowstorm to hit the area in February. The storm, which began Feb. 8, 2019, is not showing any mercy, and simply added to the accumulation for the first storm. As the snowstorm continues to drive southward running parallel with the Washington coastline, heavy snow continues to impact the area on Saturday, Feb. 9. This storm potentially can be the same, if not bigger then the storm from early February 2017, which left 7.1 inches of snow at the Seattle Tacoma International Airport (SeaTac). Along the I-5 corridor, travel will be painful to impossible. Especially the Siskiyou Summit in Oregon. AccuWeather Meteorologist Brett Rossio said, crossing over Donner Summit, California may also be difficult to impossible during the height of the storm. Before venturing out, motorists should check on the road conditions by calling 211. For those are acclimated, the cold will be dangerous. Travel, in general, will be hazardous because the roads will be covered in snow. For those who are not acclimated the cold will be extremely hazardous, as Saturday night temperatures drop to 10-20 degrees below normal. 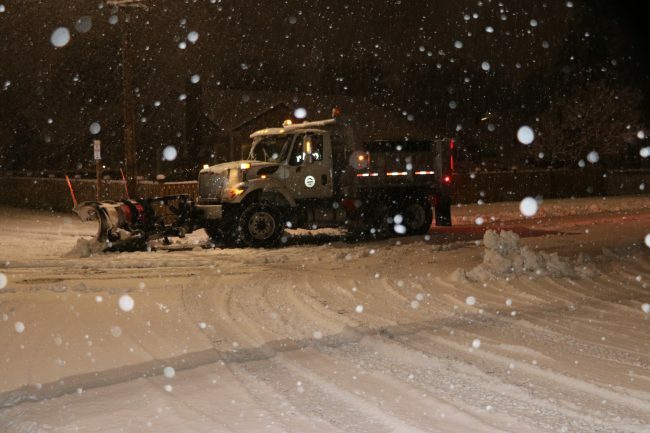 The City of Lakewood is hard at work battling the snowstorm. They are running a team of five trucks, 24 hours non stop, according to one of the city workers. As the snowstorm continues, the workers strive to get ahead of the storm, local authorities urge people to stay home and off the roads.